REALLY NEEDED? 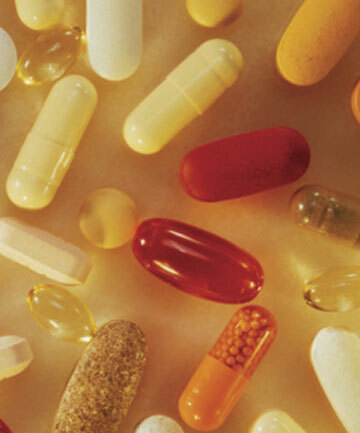 : A study shows supplement takers are often getting what they need from their diet. Commonly used dietary supplements, including multivitamins, do not extend the life of older women and may increase their risk of death, a major study has found. An 18-year study of almost 39,000 US women, published yesterday in the Archives of Internal Medicine, found that women taking iron supplements had a 4 per cent increased mortality risk. Those taking other supplements, including multivitamins, folic acid, vitamin B6, magnesium and zinc, also had a higher mortality risk. Calcium was the only supplement linked to a decreased risk of dying throughout the study period. The researchers, from the University of Eastern Finland and the University of Minnesota, said the study raised concerns about the long-term safety of supplements. ”Based on existing evidence, we see little justification for the general and widespread use of dietary supplements,” they said. They recommended that they only be used ”with strong medically based cause”. Women were recruited for the study in 1986, at an average age of 62, and surveyed about their supplement use that year and again in 1997 and 2004. About 40 per cent of the women (15,594) died in the course of the study. Those taking supplements were more likely to have healthy lifestyles, including being non-smokers, having low-fat diets and exercising. Researchers said it was possible the increased mortality rate for women taking iron was caused by underlying illnesses, but said they could find no evidence to support that theory. Emeritus Professor Mark Wahlqvist, founding director of the Asia Pacific Health and Nutrition Centre, at Monash University, said the study ”adds to growing concern” about the safety of supplements. University of Queensland public health researcher Jon Wardle said there were risks associated with any medicine, despite a misapprehension that supplements were safe. ”If you take statins and you don’t have cholesterol problems, they don’t do anything, and, in fact, could have side-effects,” he said. ”I think it’s the same with some of these supplements. Nutritionist Rosemary Stanton said people needed to know what they were doing when taking supplements, and only take them for a reason. Ad Feedback Professor Wahlqvist said the safest way to achieve the best nutrient intake was from food, and recommended maintaining a diverse diet.